FMM Students Sweep 1st & 2nd Place at the JA Titan Challenge! This week, students from Father Michael McGivney’s Gr. 10 Introduction to Business and Gr. 11 Accounting classes went compete in the Junior Achievement Titan Challenge hosted by Seneca College. We are extremely proud that the students from FMM performed so well winning both 1st and 2nd place in this competition. 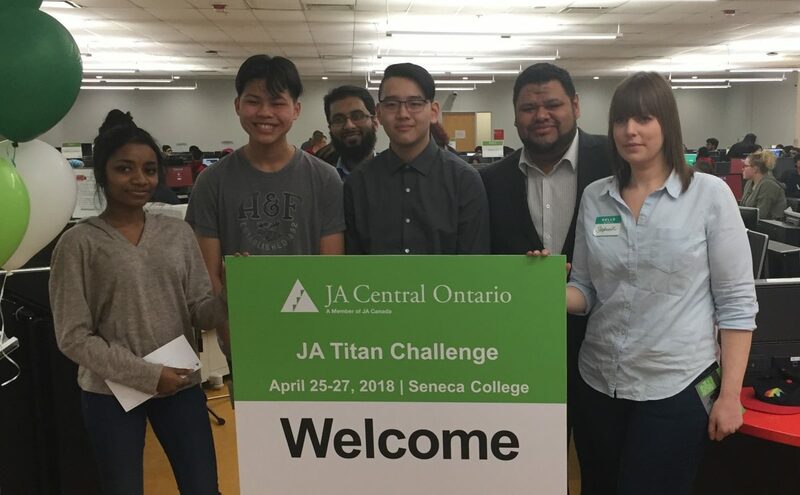 Our students ~ Jalen Chang, Kenny Lin & Shiyamini Kamalanathan ~ came in ... Continue reading "FMM Students Sweep 1st & 2nd Place at the JA Titan Challenge!" 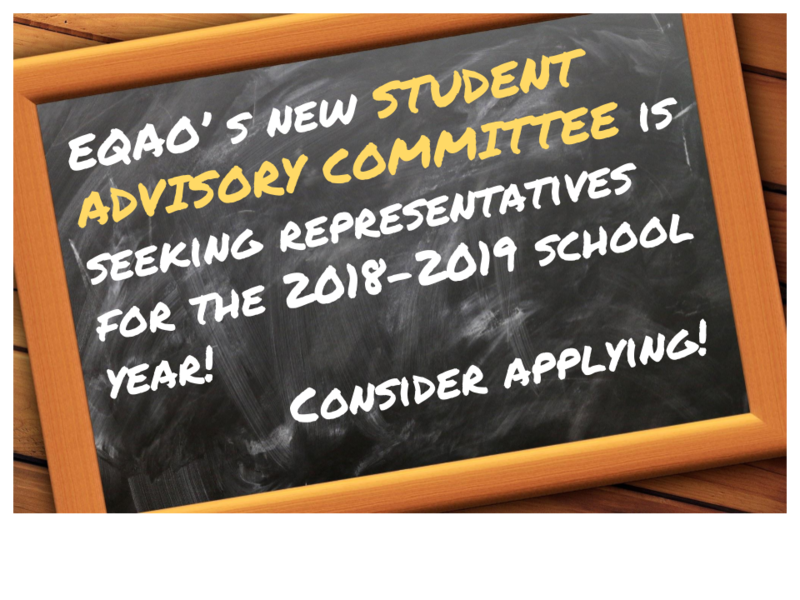 Ontario’s EQAO (Education Quality & Accountability Office) is seeking representatives for the EQAO Student Advisory Committee for the 2018-2019 school year. This opportunity is available to all students from Grades 7 to 12 (in the next school year) and who are students in a publicly funded Ontario school. The Student Advisory Committee is a new group that ... Continue reading "EQAO’s new Student Advisory Committee is looking for student representatives"
FMM’s ECO Week (April 16th to 20th) a huge success! Eco Week 2018 was a great success! FMM’s Eco Club planned a variety of activities centred around the themes of taking action and protecting not only the environment around us, but around the world. 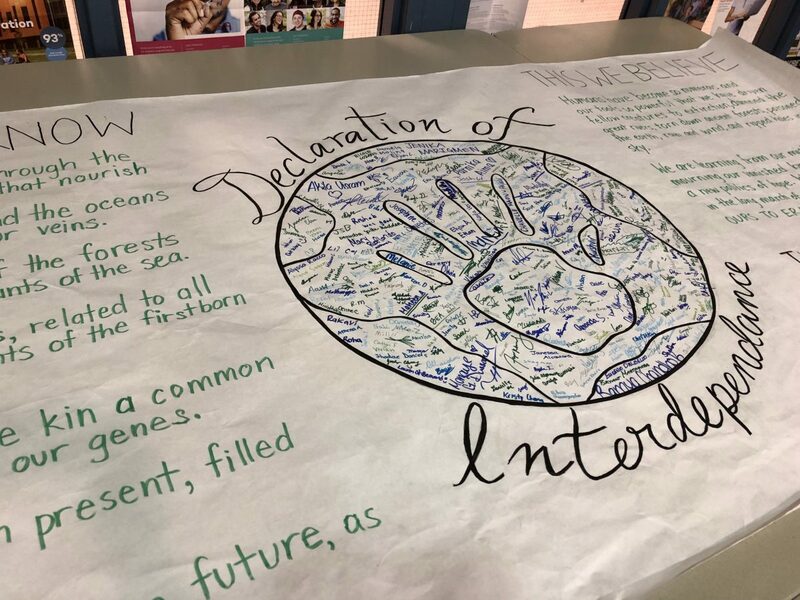 We began the week with the Signing of David Suzuki’s “Declaration of Interdependence.” Students made the pledge to “work for an evolution from dominance to partnership, from ... Continue reading "FMM’s ECO Week (April 16th to 20th) a huge success!" 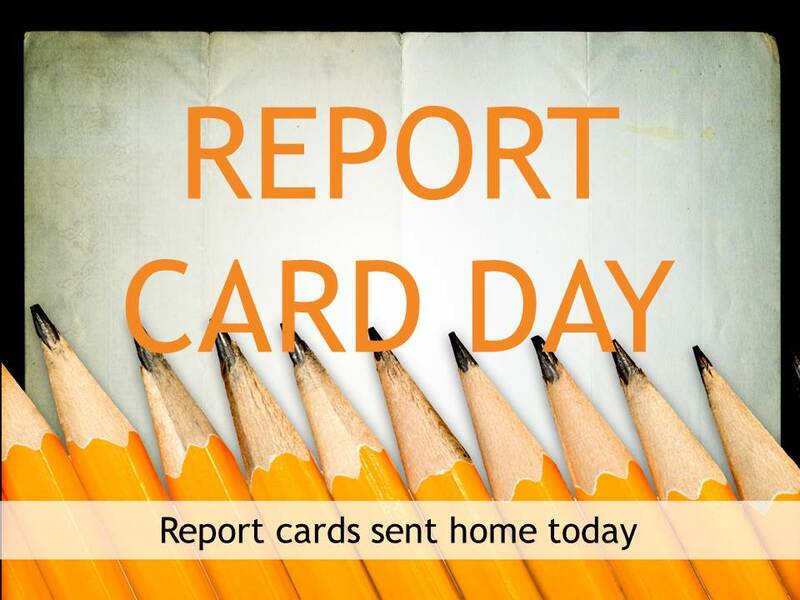 Students will be dismissed from Period 4 early on Friday April 13th in order to pick up their Semester 2 Mid-Term Report Cards. Parents are encouraged to view these marks and to make an appointment with their child’s teachers using the Parent Interview Online Booking System. 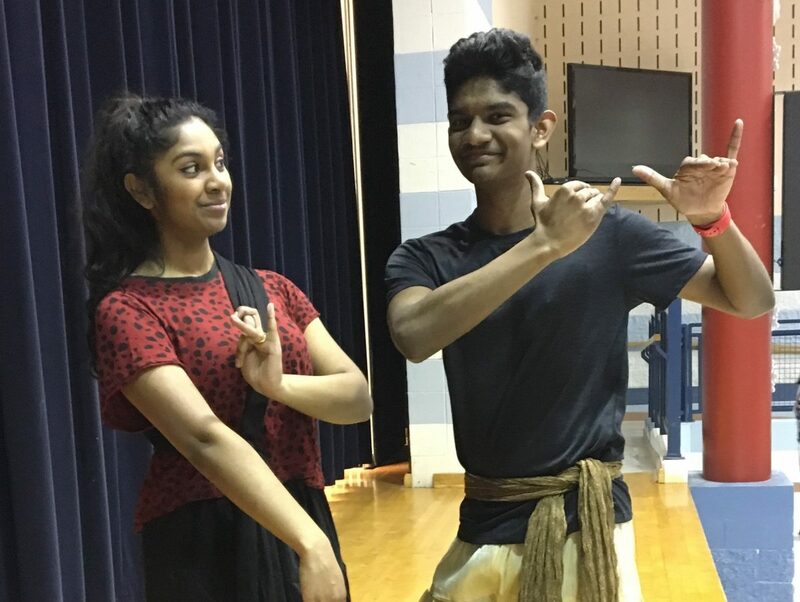 (Please note that the Online Booking System will be activated at 3PM on ... Continue reading "Mid-Term Report Card Distribution ~ Fri April 13th"
This week, FMM celebrated our beautiful diversity in our Multicultural Week 2018. The week was dedicated to honouring the varied cultures, ethnicities, and countries that make up our McGivney family. Reflecting on the words of scripture that we are all made in the image of God, this week was about finding beauty in our differences while also upholding our belief in our ... Continue reading "FMM celebrates Multicultural Week ~ Mon April 9th to Fri April 13th"
A Resounding Win for our FMM Debaters! 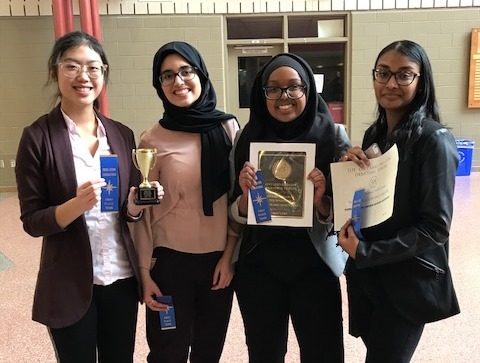 Congratulations to the Novice Debate Team: Rahma Gulaid, Ashna Naidoo, Kyla Camae Tan and Niveen Syed for placing first overall at the Pierre Trudeau Ontario Pro-Con Debating Tournament at Brebeuf College School on Saturday April 7th, 2018. The team ranked 1st overall with a total of 10 ... Continue reading "A Resounding Win for our FMM Debaters!"